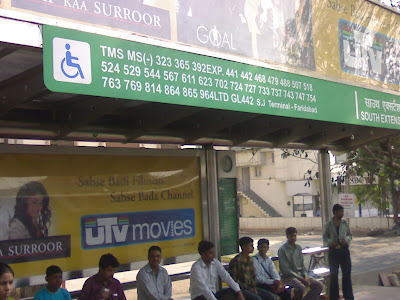 A bus-stop, the place where most of the common-Delhities spend their mornings and evenings waiting for that elusive ride to arrive. I love the dynamics of a bus-stop. There are several parallel stories running at these joints. Bus stops must be pretty much the same the world over. It does look familiar.